The 12" LayFlat Hose Retrieval System has applications for fire fighting and oil field frac water transfer. It is hydraulic powered, has 100 feet per minute hose retrieval, and has custom built trailers that match the hose retrieval system. 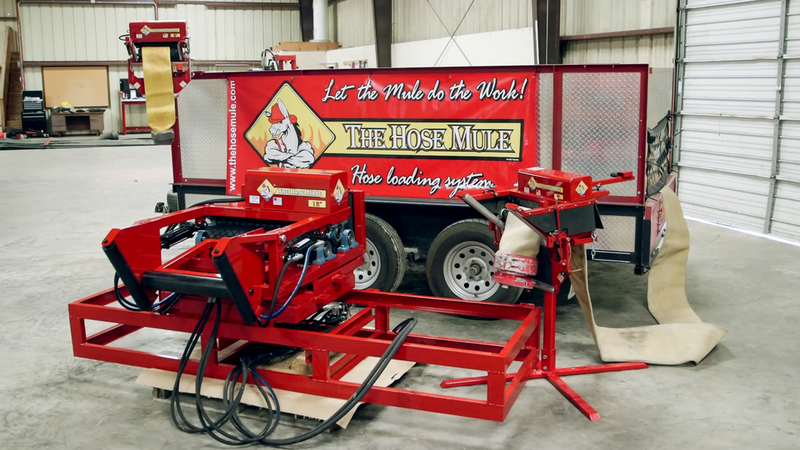 The 12" mule will retrieve all hose sizes up to 12". Need Help With Placing An Order Or Selecting The Right Product? Contact us and we will help you determine the equipment that best suits your needs, provide you with the latest pricing and help you place your order. WE WORK WITH CLIENTS FROM ALL OVER THE GLOBE. GET IN TOUCH aND kEEP iN tOUCH.